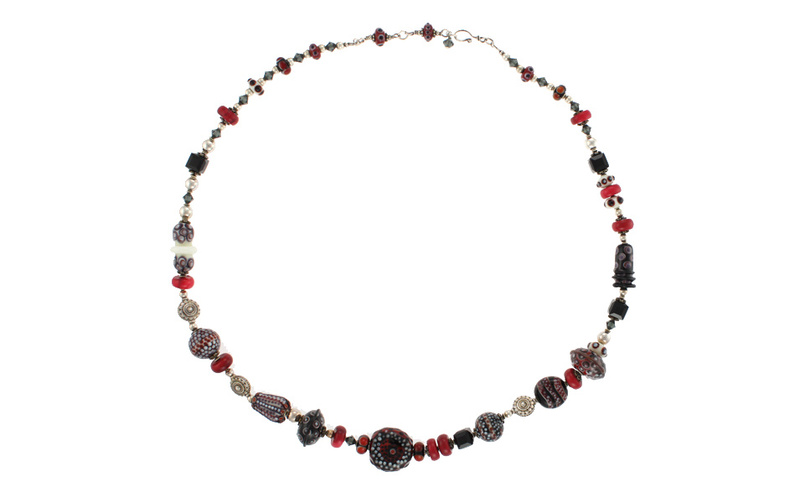 You will receive constant comments when you wear this fantastic necklace. The highly detailed lampwork beads made by Pam Dugger are both beautiful and unusual. I’ve combined them with Swarovski jet crystals and striking Bali silver beads and made the length adjustable with the hand-crafted sterling clasp. Length 27.5 to 29.75 inches.